The Arctic Monkeys have long held a strange place in indie rock. Just as every other indie rock band seemed to be either a watered down combination of The Strokes and The Smiths (we get it, hipsters, you like your guitars reverberating and your bands with a capital S) or a less intelligent version of dance music that’s been done a thousand times before, they entered the world’s view as a classic rock influenced, heavy indie rock but that was still mostly danceable. While their first full-length, Whatever People Say I Am, That’s What I’m Not is usually viewed as their definitive release, I’ve always had a warmer spot for Favourite Worst Nightmare. Regardless, their entire catalog has always been good, though not extremely diverse. When Queens of the Stone Age’s Josh Homme entered the fold to produce a few songs in 2009, they began to become a more relaxed, but also a more sexed up product. With AM, Homme is not a producer, but in a way, his influence can still be felt. All the sexed up goodness that was missing from the past two Queens of the Stone Age albums seems to eminate from this release. Most songs on this record are danceable, and some of them could even be polarizing as such. “Arabella” will have lovers admiring the influence of Black Sabbath’s “War Pigs,” and its critics will call it a mere rip off. (It isn’t.) 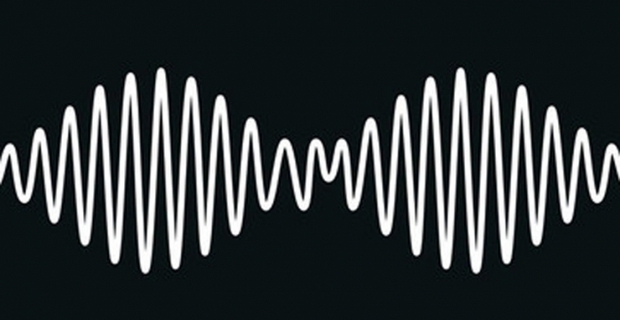 While harmonically similar, the Arctic Monkeys go their own way on that track as they do on most of the record: simple, catchy tunes with subtle shifts in musicality and production that keep things consistently fresh. If you like the latest single in “Why’d You Only Call Me When You’re High?,” you’ll like the album. AM feels like their attempt to write a consistently strong, danceable Beatles album rather than an indie rock album that’s heavy enough for classic rock fans to pick up on the influences. Is it different in that sense? Sure, but it’s still within the realm of what their output has always been. It’s a good step forward. Some clunkers do exist, like “No. 1 Party Anthem,” which was an attempt to be a ballad but comes off as one of the more boring songs they’ve ever done. I’m sure this band can play slower music and I hope they attempt to throw a song or two like this on each record in the future, but this song is lyrically weak and musically a cookie-cutter rip-off of several 70s pop songs. There’s also a handful of tacky moments, like the falsetto pseudo-funk backing vocals in the breakdown of “Knee Socks.” But don’t let that bring you down: though “No. 1 Party Anthem” is no such thing, the rest of the album is. You may not love every song on here, but if you love the Arctic Monkeys, you will like this record; if you’ve never listened to them before, this is perhaps the best entry point since their debut. With even the weaker songs being decent and the strong songs being superb, AM deserves to be heard by any ears open to listening to it.